.ORG, The Public Interest Registry (PIR) is the authoritative entity that manages and oversees the .ORG domain worldwide. ORG, first introduced in 1984, is one of the original top-level domains (TLD’s). Other TLD’s include .COM, .NET, .EDU, .GOV, and .MIL. Owing largely to the positive reputation and integrity that many of the .ORG organizations inspire among people worldwide, PIR has itself become positively positioned as .ORG is widely regarded as “the domain of choice” for numerous organizations in the nonprofit, church, science, and sports industries. PIR has been associated with .ORG since 2003, and is responsible for operating and maintaining the top-level database of .ORG web domains. The Board of Directors and Advisory Council at PIR has been consistently working since 2003 to communicate and disseminate the values of the .ORG community, and what it means to be a member by making your web domain a part of the registry database. PIR, as a dynamic Internet company and also the home of the .ORG community worldwide, was already engaged in social media in the form of blogging, monitoring/commenting, reciprocal linking, etc. Upon coming to RMR in the spring of 2008, PIR was in need of assistance with creating a strategic focus and framework to govern these activities, particularly the blogging, and was in need of guidance and marketing/PR expertise around whether or not to participate in new social media platforms, i.e. Ning, to promote .ORG and continue to build on their broad and diverse community base to further complement ongoing marketing communications initiatives and efforts that were in place. RMR set out to help PIR achieve their objectives through creation and execution of a comprehensive social media plan comprising the use of several tools and portals. With the overriding goal of positioning PIR and their team as experts and insightful participants in the conversations, RMR was also able to help to continue to position PIR as the ‘connector’ to the larger .ORG community across the globe and earn the attention of the audience. Largest goals at the outset included the need to first identify the community to target and interact with, then proceed with cultivating relationships with individuals within this community and provide them with valued content and connections to turn them into ‘raving fans,’ and then empower these fans to act upon this support and spread the message of the .ORG brand and community to additional channels. Over the year and a half since beginning the social media program, the largest successes have come from the ‘raving fans’ we have been able to grow throughout the various initiatives, who have in turn helped to spread the message about .ORG and the .ORG community across the globe. The effects of this can be seen in readership statistics for The .ORG Blog (www.blog.pir.org) which show that it has continued to increase, as has participation from the community. 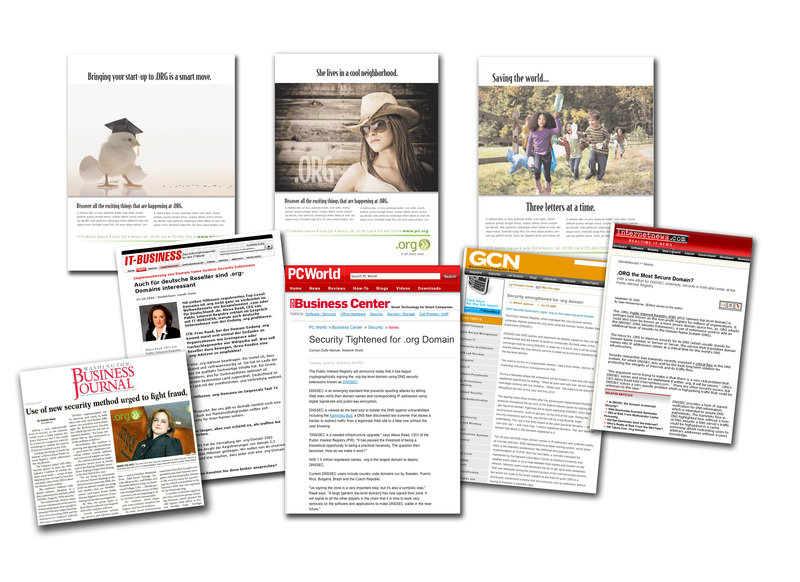 Initiatives such as the guest blogger program, bringing industry experts to the .ORG Blog for the benefit of the community, the branded PIR team blogging presence by area of individual expertise, and series around key topics, for example World Voices and the DNSSEC initiative that PIR has pioneered to bolster internet security for users across the domain and advocating for adoption across the Internet as a whole have helped with this acceptance among the community/audience and built credibility and trust around PIR’s participation in the wider dialogue. Additionally in the Spring of 2009, the first-ever .ORG Ambassador Awards were announced entirely through blog presences, between .ORG and their partner, the Nonprofit Technology Network (NTEN), whose annual NTC conference served as the venue for the announcement of finalists and the winner in April, 2009 in San Francisco. 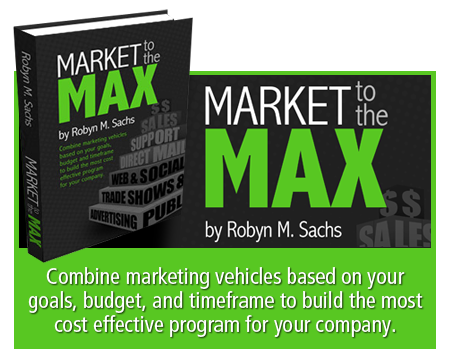 Did you read Robyn’s best-selling book, Market to the Max? Get it here. Copyright © RMR & Associates, Inc. All rights reserved.